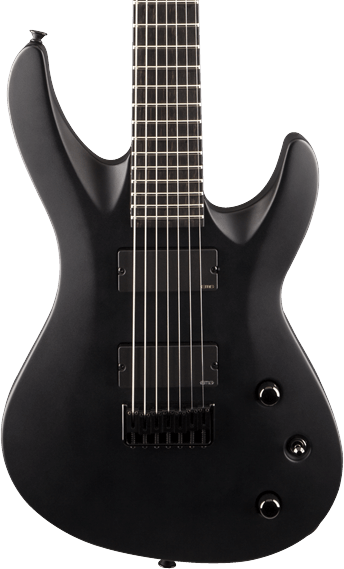 Conceived with the contemporary djent and technical metal player in mind, Jackson's seven- and eight-string baritone guitar models were introduced in 2013. 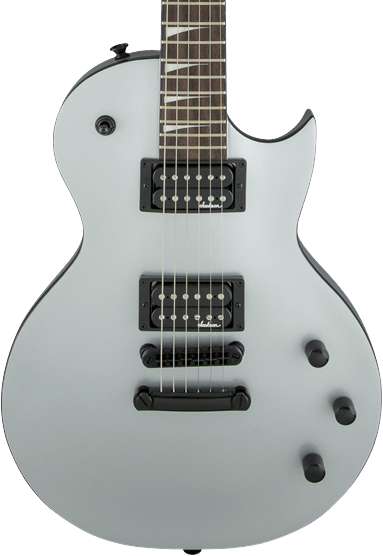 Featuring a longer 27" scale length and distinctively modern beveled double-cutaway design, these guitars offer a deep, heavy and richly resounding voice to the Jackson experience and ideal for the Jackson player who literally seeks more in sonic scope. 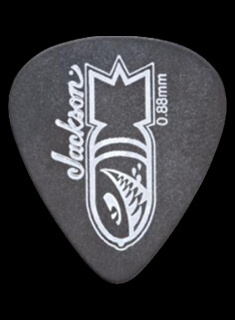 One of Jackson’s original innovative body shapes gets reimagined with the CD. The pointed triangular body would launch the era of the assertive “pointy” guitar and go on to build the foundation of modern metal with its iconic design. 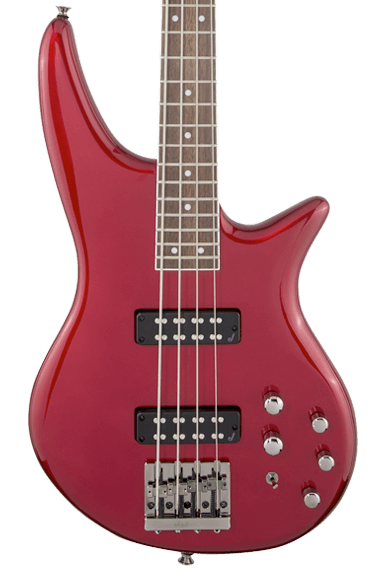 Like several of Jackson's classic guitar models, Jackson bass guitars date back to the early-mid 1980s. Around the same time that the KellyTM, King VTM, SoloistTM and DinkyTM guitars first appeared, so did the ConcertTM Bass-a gracefully simple instrument with fast playability and seismic tone that still anchors Jackson's bass lineup to this day. IV Concert Bass Scale Length: 34"
Kelly Bird Scale Length: 34"
V Concert Bass Scale Length: 35"
2019 sees the introduction of a new and ferocious angular body style to the Jackson lineup. 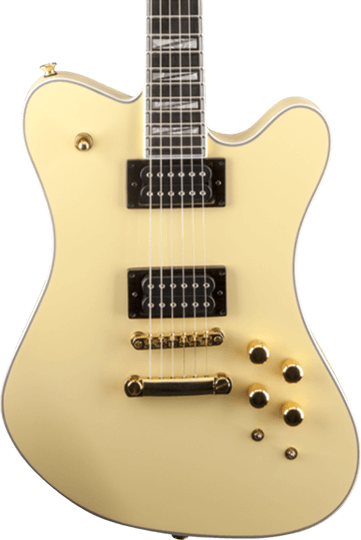 The assertive off-set shape of the Demmelition Fury features a one-piece through-body maple neck to handle the resonance from the hardest playing styles. In the early 1990s guitarists sought an instrument boasting Jackson speed and high performance, with a bolt-on neck similar to those made by the company's famous older sibling, Charvel®. 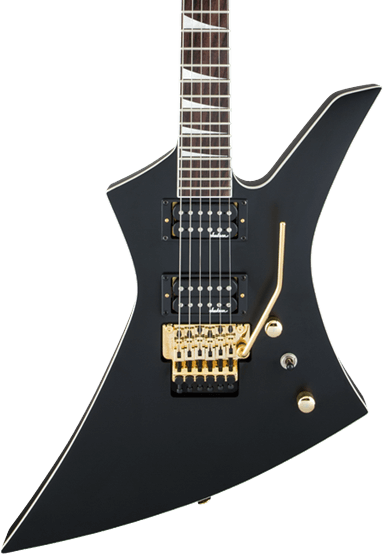 Jackson's designers responded by streamlining the acclaimed Soloist with a lighter, smaller body. The Dinky was an innovative breakthrough in a long line of Jackson firsts and an immediate success that has flourished ever since. 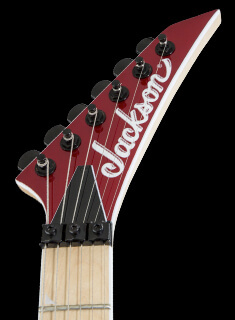 In 2006, Jackson first introduced the Mark Morton Signature Dominion model featuring a unique non-pointy body style that was in essence a slightly modified version of the Swee-Tone™ Jazz'r.™ Morton's design rendered the Jazz'r's shallow double cutaways, rounded horns and slightly offset waist in a new chambered-mahogany model with an elegant flame maple top. 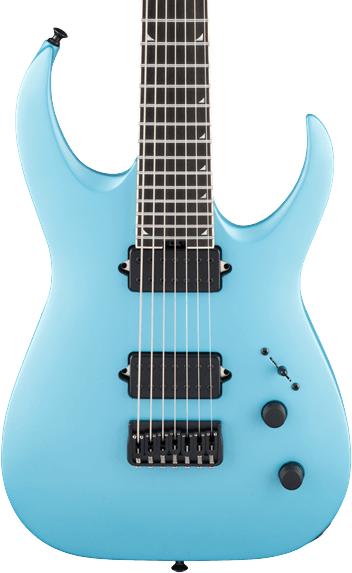 In 2015, Jackson and Periphery's Misha Mansoor teamed up, creating the next evolution of shred guitars for djent and progressive metal players in the ultramodern Juggernaut. The Juggernaut design is inspired by the Dinky and Soloist shapes, featuring a slimmer horn and comfortable handshake heel that allows easy access to the upper frets. 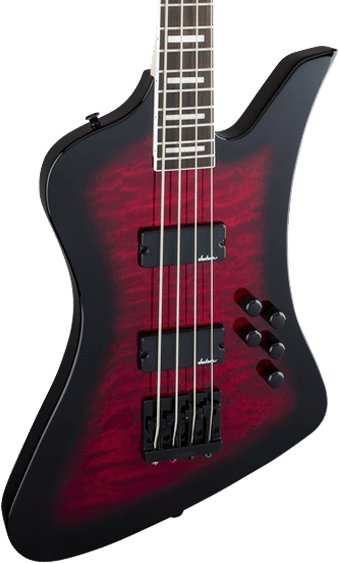 Special Attributes: Slimmer horn and comfortable handshake heel that allows easy access to the upper frets. Arch top, scalloped horns (front and back), Natural body binding (Trans options only). Armed with an eye-catching shape and lightning-fast neck, the Kelly has been a popular Jackson staple ever since its 1983 introduction. When the U.K.'s prestigious Guitarist magazine published its special "Book of Metal" issue, it referred to the Kelly as, "one helluva guitar with a truly massive sound. Arguably the be-all and end-all of rock guitars. 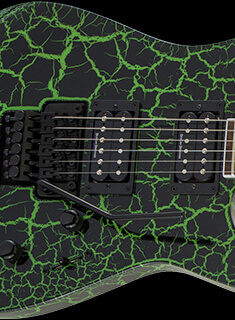 This has to be the coolest axe ever from one of the genre's most prolific names." 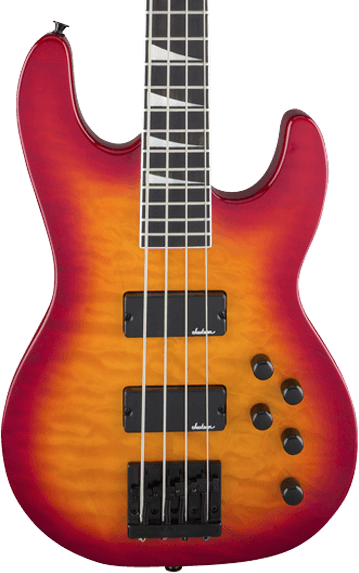 Jackson collaborated with esteemed Megadeth bassist David Ellefson to design the distinctive Kelly Bird Bass, introduced in 2013. It's a historic offset shape with a modern twist, featuring the angular Kelly horn. As metal exploded with fret-burning flamboyance in the mid-1980s, artists clamored for Jackson Rhoads-style personality and playability in a larger-bodied axe. 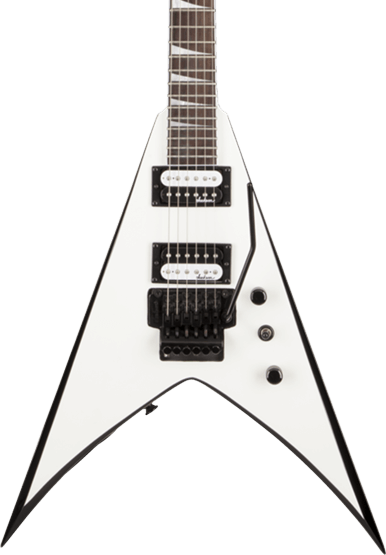 Jackson's custom builders responded with a classic design, combining Rhoads high performance with a larger traditional V-shaped body. Thanks to head-turning looks and incredible playability, the regal King V reigns as a firm favorite in the Jackson line. 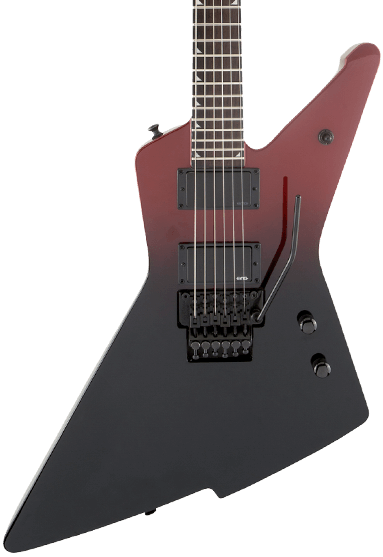 In 2017, Jackson introduced the MF-1, signature collaboration with guitar virtuoso Marty Friedman. This single-cutaway form is loaded with Friedman's discerning specs, resulting in a versatile instrument capable of withstanding the heaviest, full blazing metal riffs or handling the sweetest and most sensitive melodic ballads. In 2016, the original gods of metal introduced a brand new shape with the Monarkh, sporting classic single-cutaway style and comfort. Ideal for sonic annihilation and inciting a spot of musical mayhem, the Monarkh delivers chest-punching riffs, complex chords and screaming lead work with ease. Starting with our popular Dinky platform, Phil Collen styled the PC1 with his favored H/S/S configuration and unique PC1 Sustainer/Driver in the neck pickup. 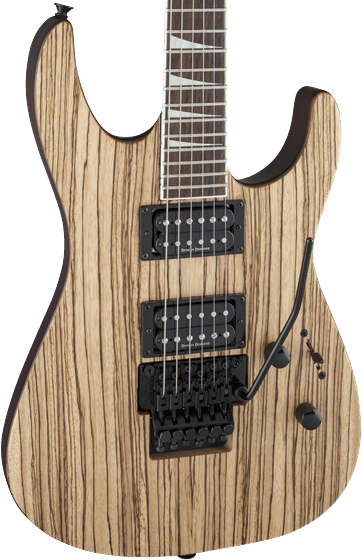 The PC1 represents one of original Jackson signature instruments and continues to stand out in modern times with its staple exotic woods and player-friendly features. The Randy Rhoads model is the instrument that started it all. Born in 1980 from a napkin sketch drawn by the late, great guitarist, the Rhoads is one of the most revered and recognized shapes in hard rock and heavy metal history. It's so highly regarded by the metal-loving masses that in 2006 it was voted "Legendary Guitar" in Guitar World magazine's 25th-anniversary readers' poll. Like Rhoads himself, this sleek instrument is both peerless and untouchable. 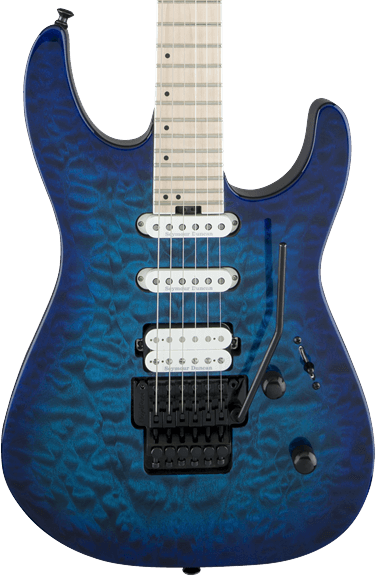 Jackson progenitor Charvel® began producing its own traditional-style double-cutaway electric guitar models in the late 1970s. These early high-performance instruments quickly won great acclaim, and became informally known among players as "San Dimas" guitars, so nicknamed for Charvel's home city and the San Dimas, Calif., P.O. box listing stamped on their neck plates. 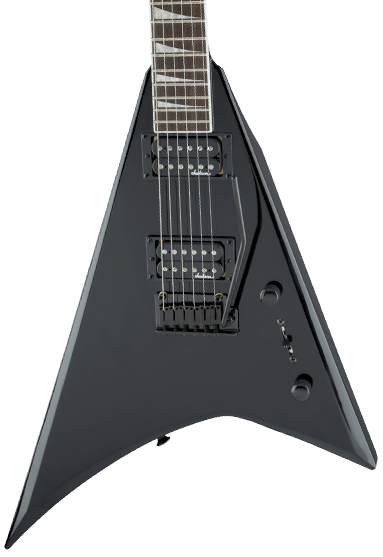 Decades later, in the late 2000s, Jackson formally adopted "San Dimas" as part of the name of its signature models for Iron Maiden guitarist Adrian Smith. 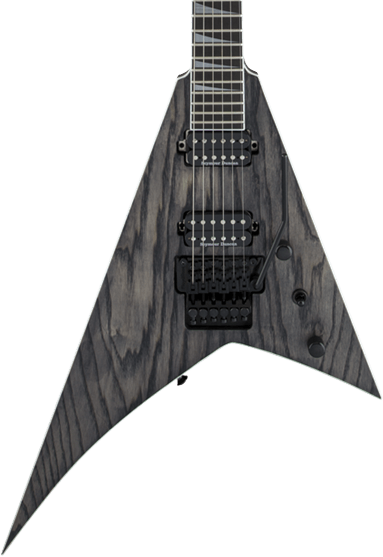 Since the beginning, Jackson has combined traditional double cutaway body styles with shark-like high performance. 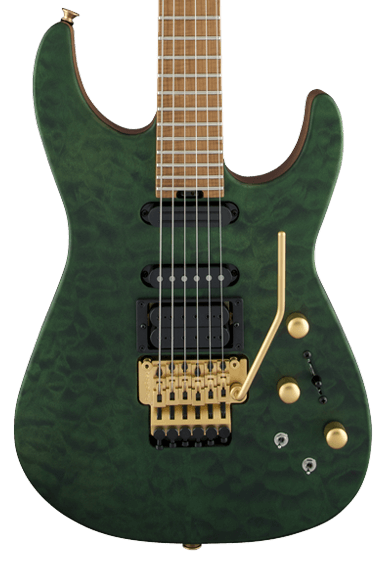 Although prototypes surfaced earlier, the Soloist was officially added to the Jackson lineup in 1994. Featuring an addictive compound radius fingerboard and a new pitch on its through-body neck, the Soloist was born to shred. 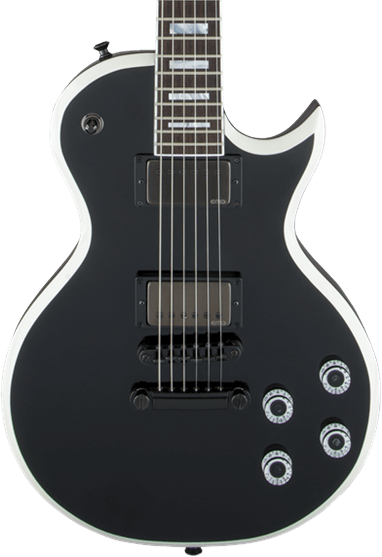 With its player-centric features and alluring good looks, this guitar is respected for a reason. 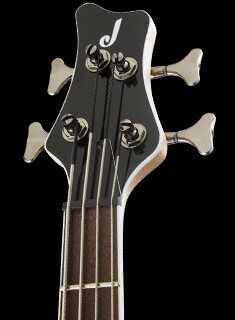 The Spectra bass turns high-performance on its head with a cutting-edge design that features a larger upper horn to evenly distribute weight across the instrument. This distinctive contour greatly reduces neck dive for hours of comfortable performing for any playing style. 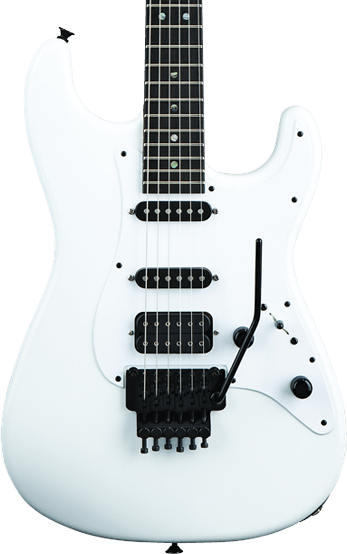 Jackson progenitor Charvel began building this original avant-garde body shape back in 1979. Over the last few decades, the Jackson/Charvel Custom Shop has continued to offer this distinct and recognizable shape. 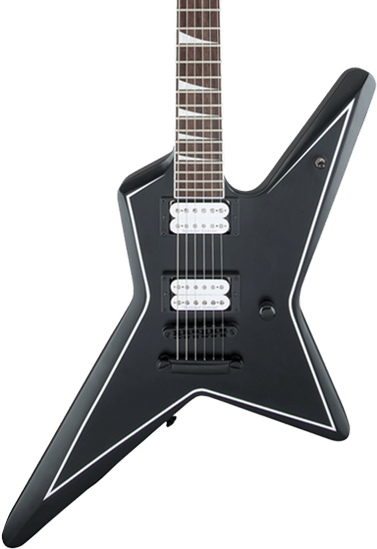 In 2017, Jackson added the Star for the first time to its production lineup with the introduction of Gus G.'s signature models. Unlike most radical shapes, the Star is suitable for both standing and seated playing position. 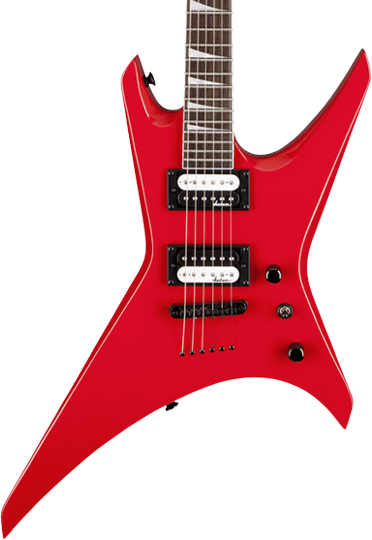 In late 1989, Jackson introduced an outlandish and brutal-looking body design - the aptly named Warrior. Created with a dark new breed of artist in mind, it was designed as a vicious new weapon with smartly savage styling. In fact, a close look at the X-shaped Warrior reveals the method behind the madness: Every angle resembles the distinctive Jackson headstock.